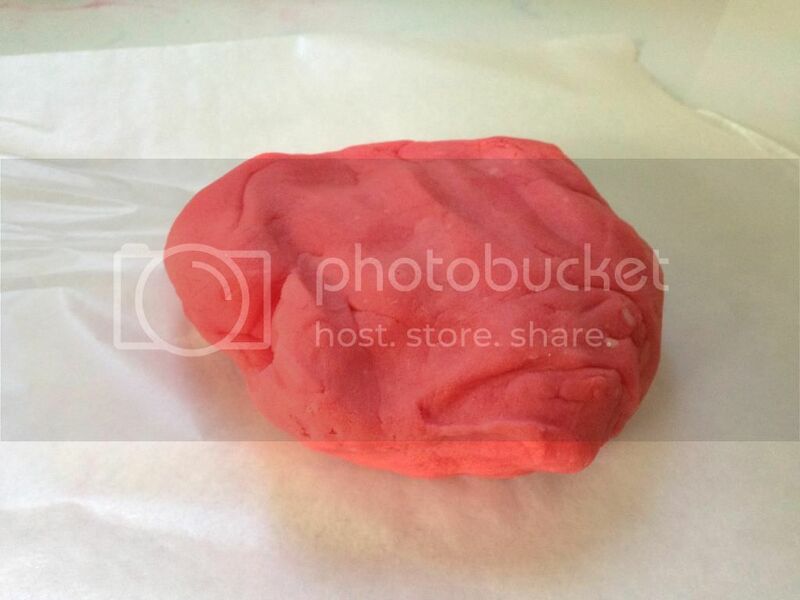 I finally decided to try making homemade play dough! I don't remember how old I was when I loved the stuff, but I figured my two year old was ready to give it a whirl. There's a million and one recipes for a homemade version, but I chose one that required only ingredients from my pantry and could be whipped up during naptime. This one from Musings of a Stay at Home Mom fit the bill. Her version is quite simple and includes helpful pictures of what each stage of the cooking process entails. From start to finish, the process took maybe 10 minutes. The texture is spot-on for the manufactured stuff and thus far show no signs of drying out. The only downside to this recipe, however, is that it only makes one color at a time. I suppose you could divide the mixture among several saucepans, but my smallest saucepan is only so small. It might be possible to mix the color in after the dough has finished cooling, but it might be more challenging to get a uniform coloring. I can't tell you what this play dough tastes like but my son apparently liked it given the number of times I chanted "Not food, not food" during the course of a brief play session this morning. Oh well. Whisk together dry ingredients in a 2 quart saucepan, then add water and oil and mix well to combine. Cook over low/medium heat, stirring continuously. Once it begins to thicken (it should only take a few minutes), add the food coloring. Continue stirring until the mixture begins to gather around the spoon and looks like the commercial stuff. 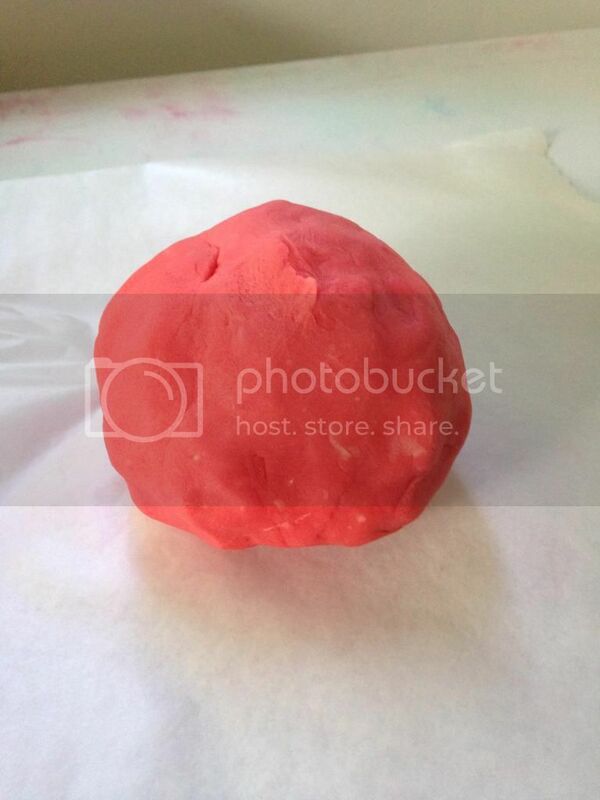 Remove the dough onto wax paper to cool. Store in an air-tight container or plastic bag. Makes the equivalent of 3-4 small cans of the commercial stuff.